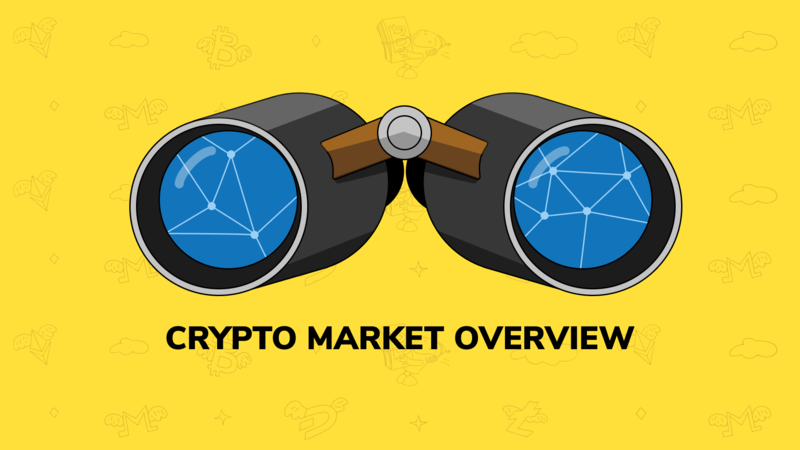 Check out last week’s digest on market changes, top 3 cryptocurrencies stats, top gainers and losers and the most notable crypto news. Binance announced the new partnership, SEC delayed its decision on Bitcoin ETF and cryptocurrency exchange Bithumb was hacked and lost $18 million in crypto. Hope you find our digest helpful and as usual – happy trading! The growth of cryptocurrency market continued with 3.70% added to its capitalization. Numbers of cryptocurrencies and markets also increased. Bitcoin and Ethereum gained more than 2% and 3% correspondingly, while the price of XRP increased only by 0.08%. The world’s leading cryptocurrency exchange Binance announced its partnership with IdentityMind, a risk management and RegTech compliance platform. The main purpose of this partnership is to improve data protection and compliance measures for Binance’s global operations by enabling IdentityMind’s Know Your Customer (KYC) and Anti-Money Laundering (AML) services. The United States Securities and Exchange Commission (SEC) has delayed its decision on Bitcoin exchange-traded funds (ETF) proposal filed by Bitwise with NYSE Arca. The SEC decided to extend this period by another 45 days and “shall either approve or disapprove, or institute proceedings to determine whether to disapprove, the proposed rule change” by May 16, as stated in the letter. Crypto exchange Bithumb was reportedly hacked for more than $18 million. On March 29 the exchange paused cryptocurrency deposits and withdrawals due to the “abnormal withdrawal of the company’s cryptocurrency”. According to Bithumb, it was an “accident involving insiders” and all the stolen cryptocurrency was owned by the company. As reported, around 3 million EOS and 20 million XRP coins have been transferred from the company’s hot wallet.